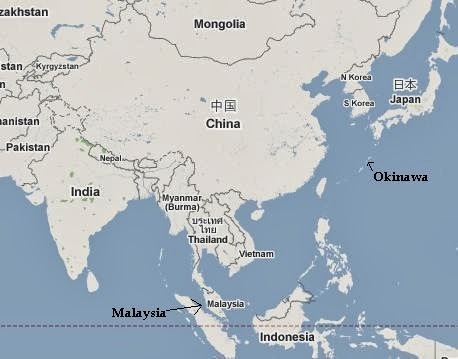 As can be seen in the map below, Malaysia’s shores share the same water as Japan, where the crippled Fukushima nuclear plant continues to dump radioactive water in the ocean. The great earthquake and tsunami that devastated Fukushima happened in 2011, making this the third December since the nuclear meltdowns. 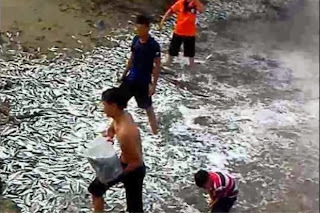 Coincidence that for three years this odd phenomenon has been happening on the shores of Malaysia or a sign from the sea life indicating how contaminated their waters are?